I love Spanish and Italian cuisines so when I see a menu that features both, I know I will be in for a treat. 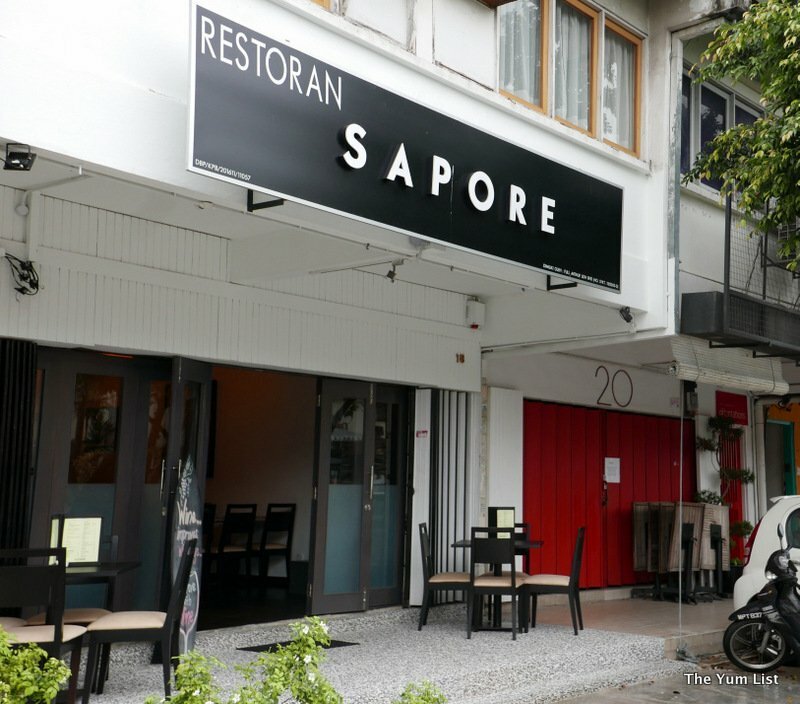 Sapore, Italian for flavor, is one of a number of small independent restaurants to recently open its doors in Ampang serving artisan food and fine wine in a cosy environment. On arrival we are greeted by Chef Fabio who has an impressive CV having moulded his craft in Michelin-Starred restaurants in Italy, and more recently the KL fine dining scene. 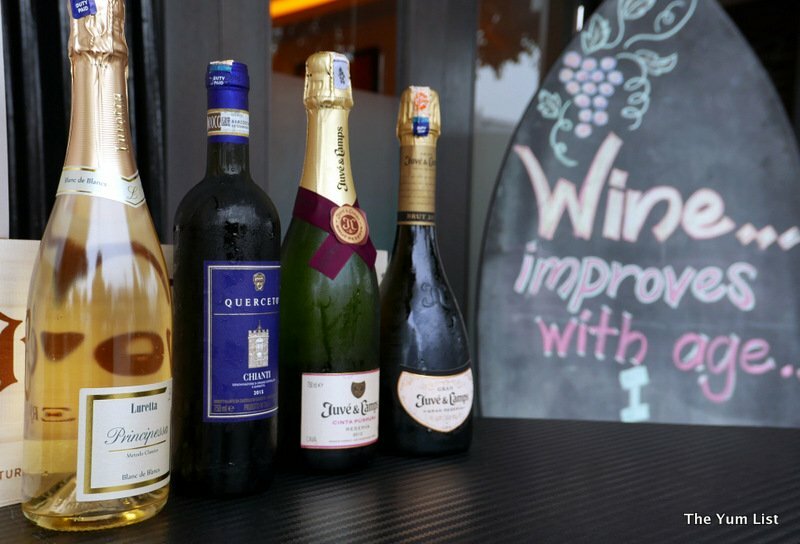 A chalkboard quoting, “Wine improves with age… I improve with wine,” sits on the front patio, and for a small independent, I’m surprised to see six different types of wine offered by the glass. Not wanting to turn down an offer for refreshment we sample a glass of Cabernet Sauvignon (RM27) and another of Sauvignon Blanc (RM27), both easy drinking on their own, and good mates with the selection of hot and cold tapas that soon arrives to our table. Impressively the menu at Sapore boasts several dishes, which you don’t often see on Kuala Lumpur’s dining scene, such as our first tapa for instance. 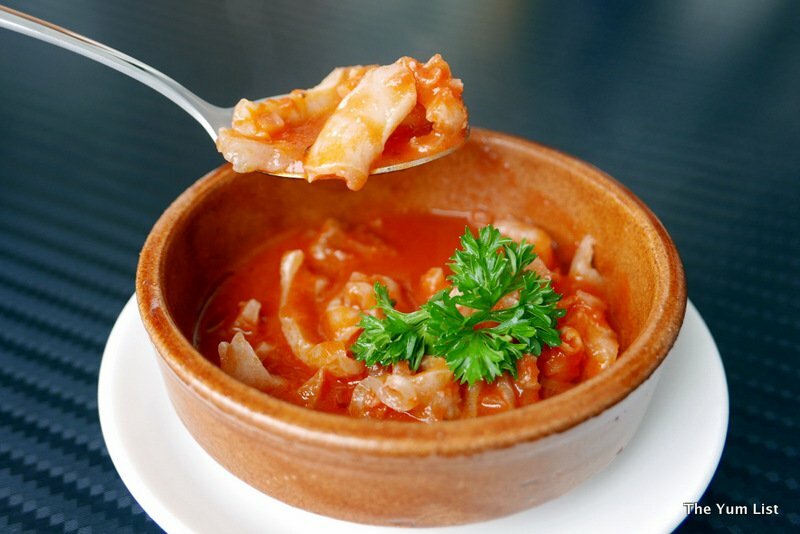 The fish in the Cod Tripe in Tomato sauce with Manchego Cheese (RM39) has been stewed for several hours allowing the delicate flavours to be absorbed into the sauce. 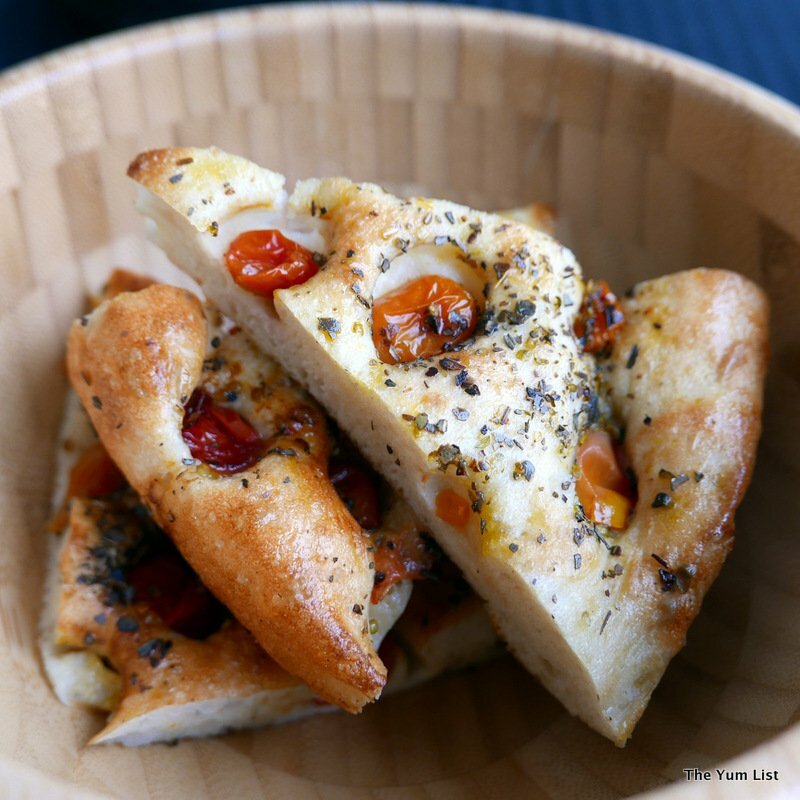 This dish is the perfect accompaniment to Sapore’s freshly baked bread, and we tuck into the focaccia using it as a mop to capture every last drop of the tasty red sauce. Thick wedges of airy bread with a lightly charred crisp surface and a wonderfully soft chewy inside are extremely moorish and I can already see myself returning just to eat the bread alone (well, maybe with a glass of wine or two). 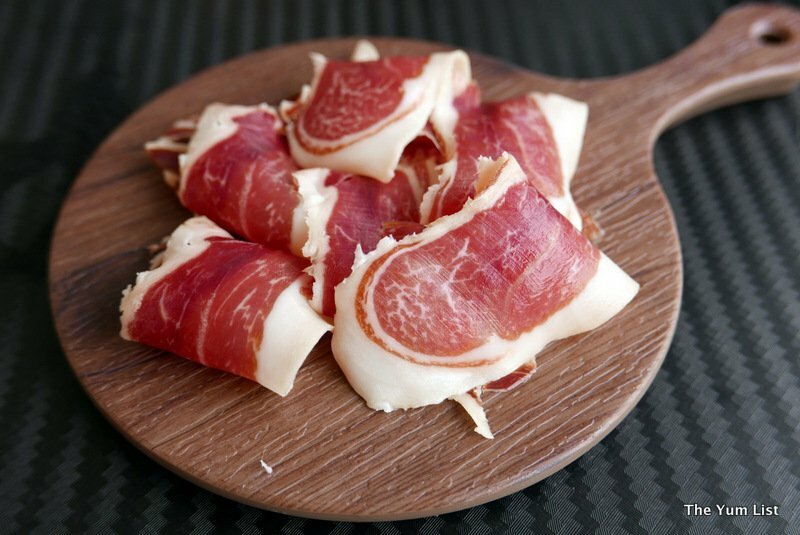 Another newbie for us is the Flavoured Tuscany Pork Lard (RM25). Thin slices of pork fat seasoned with rock salt and black pepper are aged for two months proving to be a melt-in-the-mouth true Italian delicacy. 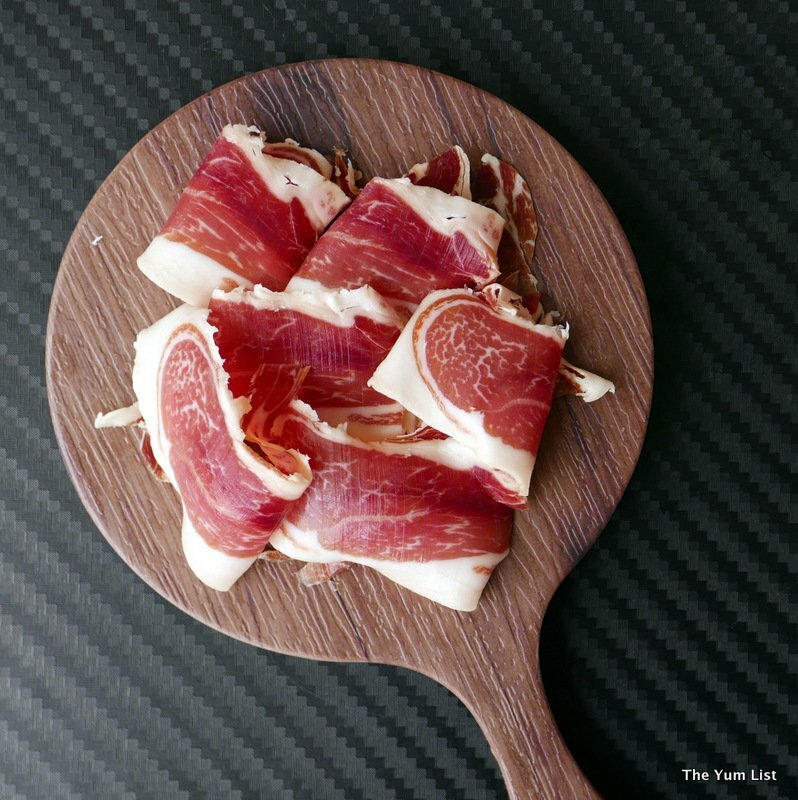 Jamon Iberico (RM45) from black Iberian pigs fed on acorns results in a mouthwatering top quality prized ham that does not disappoint. The cold cuts are served on chilled mini bread boards straight from the fridge. 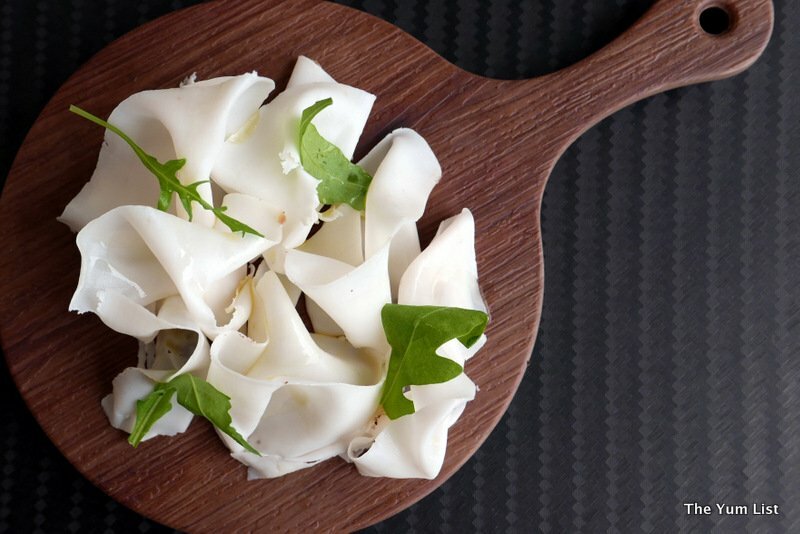 Testimony to the high quality and attention to detail the chef insists on at Sapore. Chef Fabio explains that the octopus is cooked for one hour and then left to cool in cold water making it lovely and tender, for the Octopus Salad with Potato and Celery (RM32). 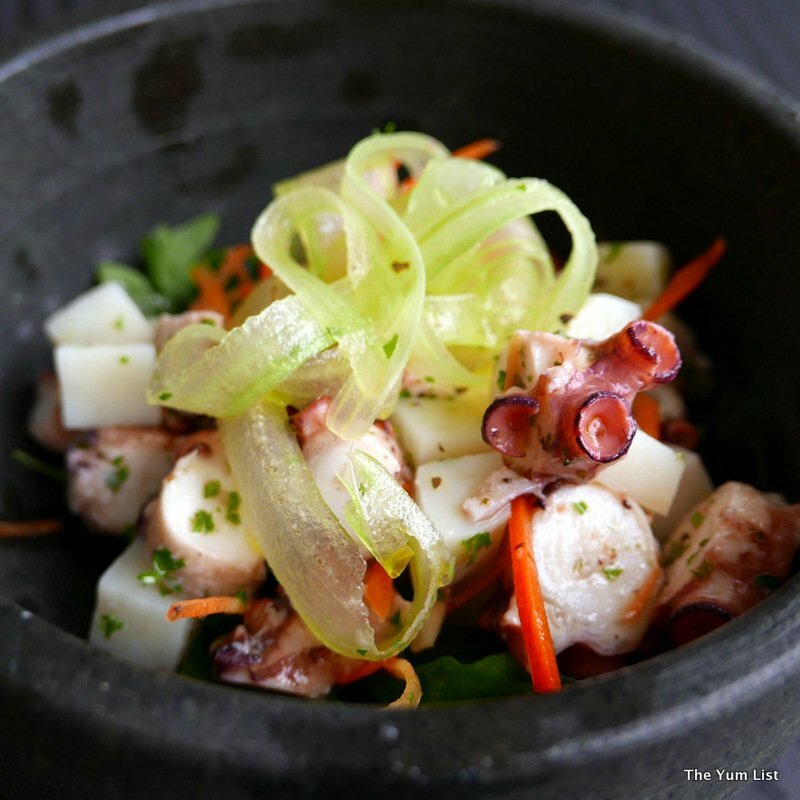 The different textures from the potato and celery combined with the soft yet springy octopus make for a deliciously sophisticated culinary experience. Hot (or should I say cold) from the streets of Italy is the latest trend to have foodies salivating, the Artisan Baguette and Maguro Tuna (RM35). 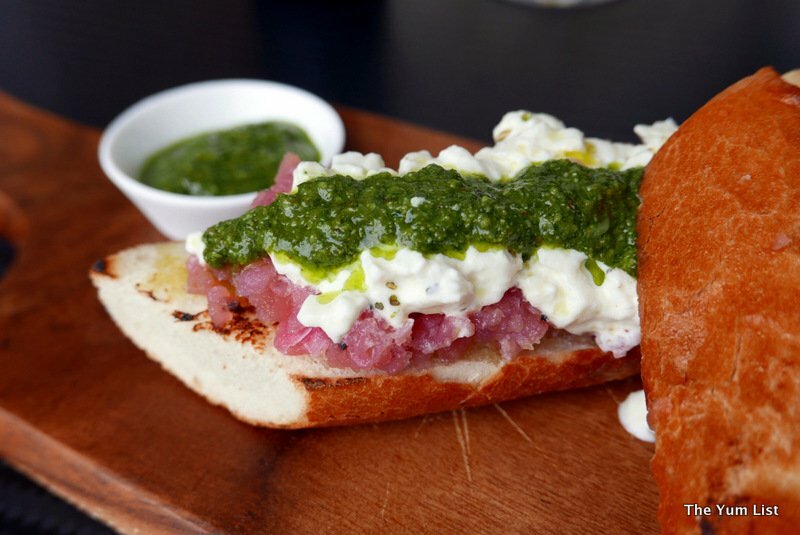 This summer dish of raw fish, pesto sauce and burrata cheese is served atop crusty bread furnishing a mouthful of delicious flavours and textures. The soft creamy cheese is mild allowing the flavour and freshness from the tuna to dominate, while supporting as a velvety base. The pesto adds another dimension, and Monica and I can both see why it’s such a popular dish. 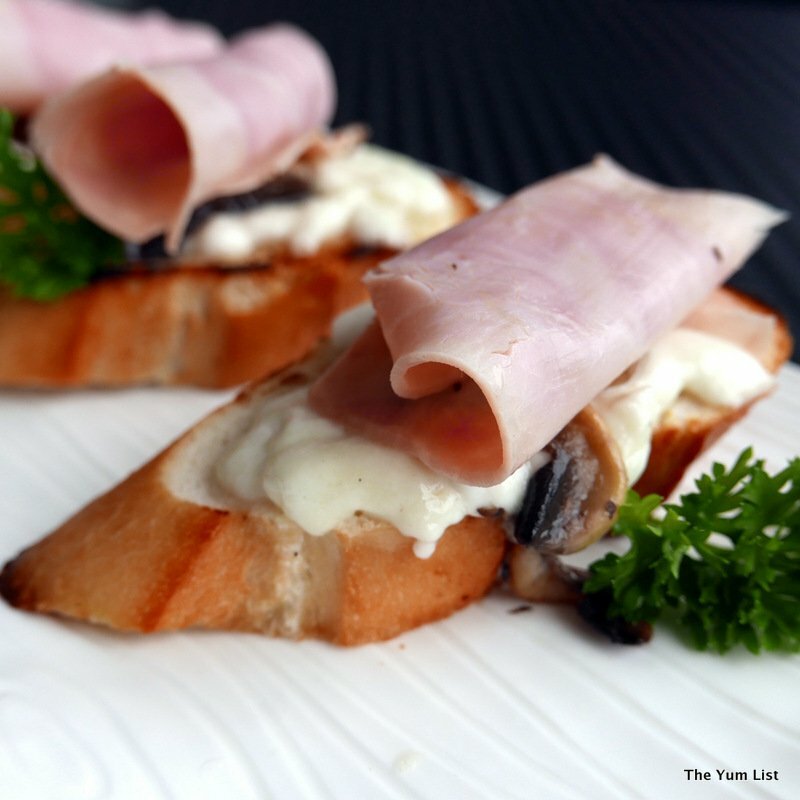 Most of the dishes on the menu are great for sharing and Toasted Ham topped with Mozzarella on Bruschetta (RM15) is a perfect example. Melted Mozzarella, ham and mushrooms remind me of my favourite pizza combination and although the presentation here is a little more upmarket, the taste is equally satisfying. 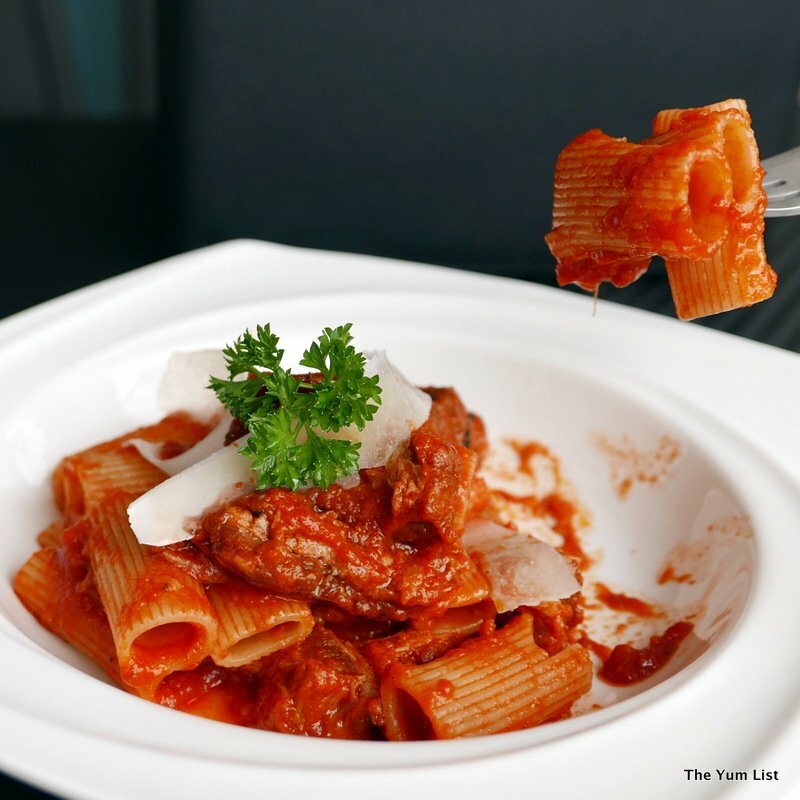 From the pasta and main course section we enjoy Rigatoni Rosticciana Tube Pasta with Stewed Pork Ribs in Tomato Sauce (RM38). A generous portion of al dente wide tube pasta with tender pork ribs that have been slowly cooked make this a hearty and ever-so-gratifying plate. Pork Ribs with Barbecue Sauce (RM25) served with creamy mashed potato, broccoli and olives smells divine. 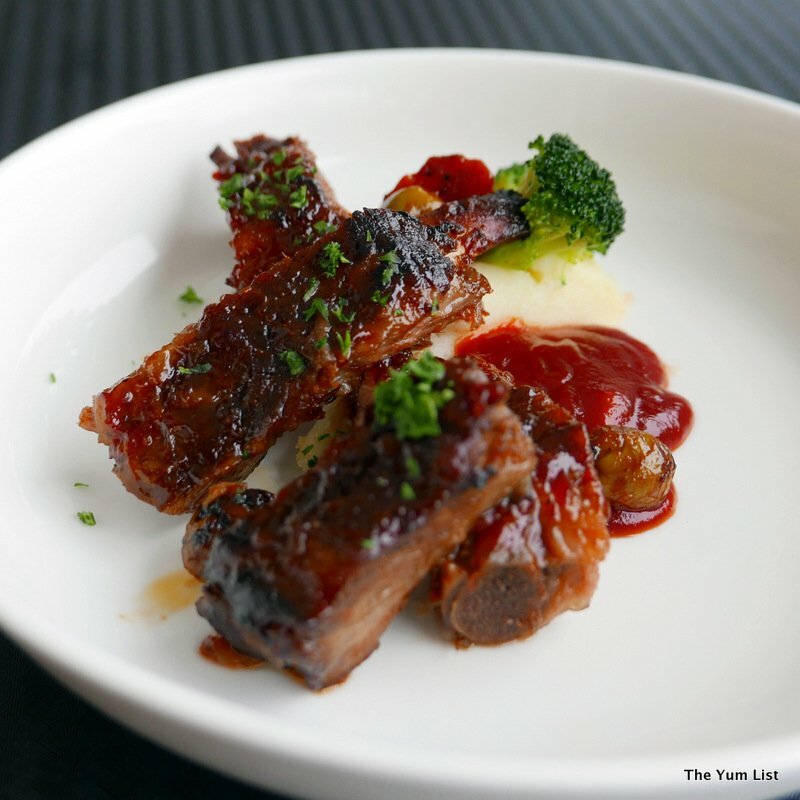 The plump, fleshy ribs are lovely and sticky. I’m not generally a huge ribs fan but these are more meaty than fatty, and I delve in for a second helping. The sauce has a hint of Tabasco providing a spicy little kick. 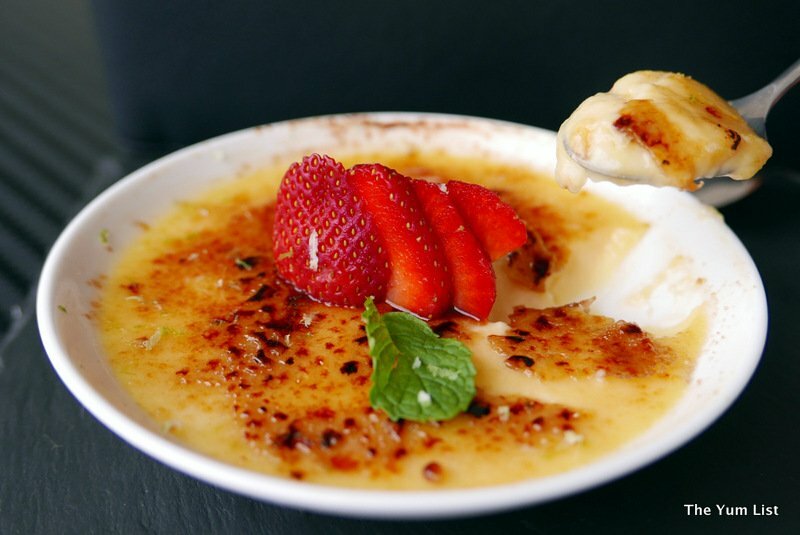 Dessert entails another generous portion that Monica and I think could also easily be shared, this time Vanilla Crème Brûlée (RM16). Garnished with a helping of sliced strawberries the flavour from the vanilla is infused perfectly, and a whisper of zest atop encourages the flavours to the forefront. The consistency is silky, and the essential caramelised sugar crust gives a nice little crack as we break in. Besides great food and wine, Sapore also stocks a tempting collection of spirits, with a variety of gins being the highlight. 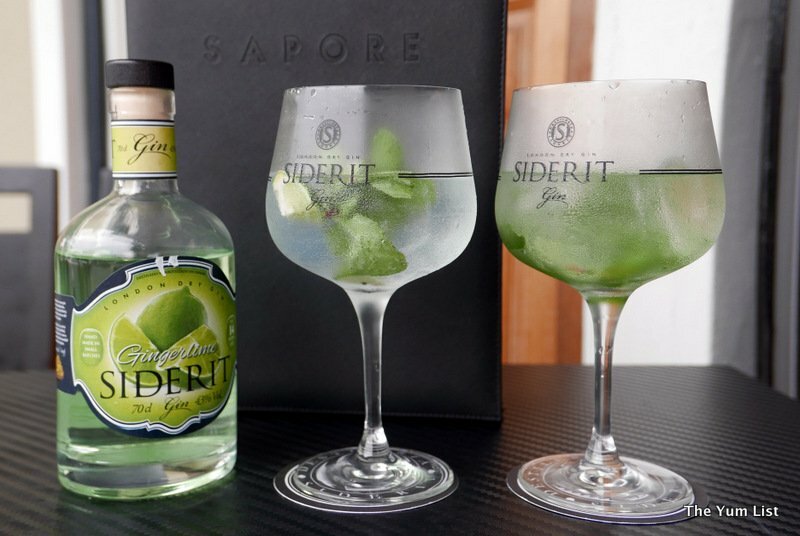 A premium quality Spanish gin, Siderit, makes a wonderfully moreish gin and tonic with its infusion of ginger and lime. 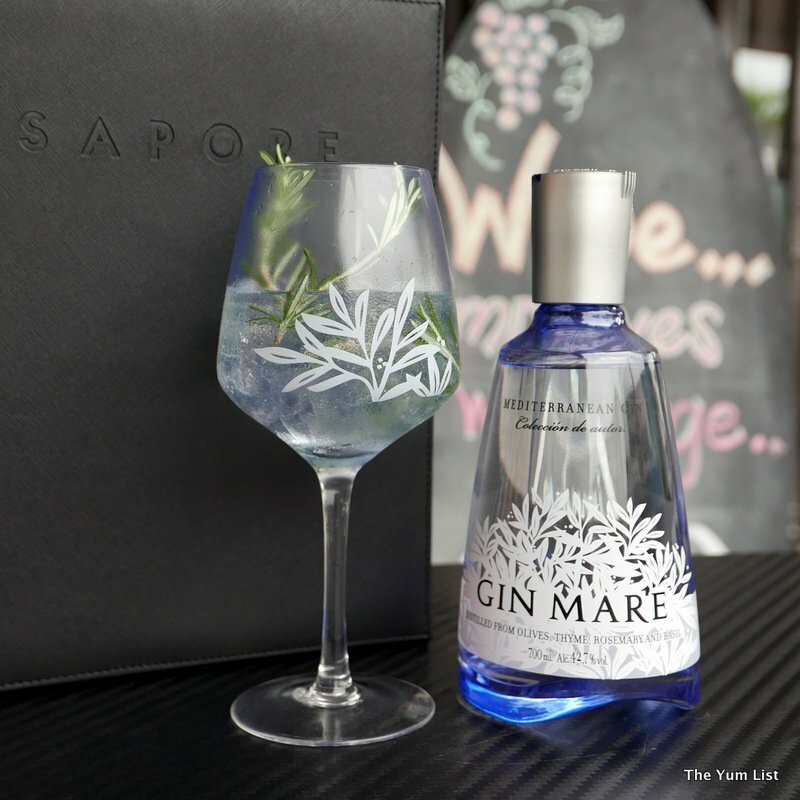 Gin Mare, another premium Spanish gin label, offers rosemary and thyme in the flavour profile, making a slightly more herbal, but equally refreshing beverage. The bold bowl glass makes attractive presentation and I make a mental plan for cocktails and tapas with friends after work in the near future. 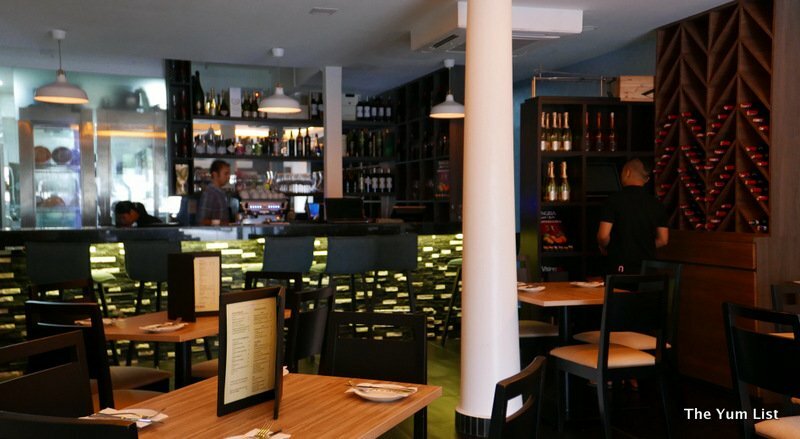 Chef Fabio and his team have created an impressive selection of reasonably priced Italian and Spanish dishes. With so many tasty treats it’s hard to pick a favourite. 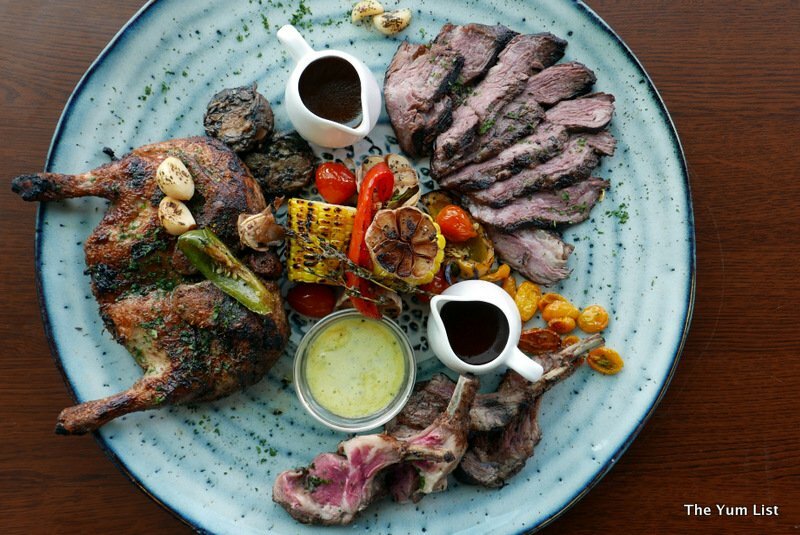 The generous portion sizes provide a valuable solution and I recommend you visit with family and friends, order a selection and enjoy with a nice glass of wine or cocktail. Reasons to visit: independent restaurant feel with fine dining attention to detail at reasonable prices; good selection of wine and spirits – do try a G&T; the artisan ciabatta, pork lard and cod tripe are dishes we’ve not seen elsewhere in KL, and pork is another magnet that will attract many diners for sure. I didn’t know that lard can be served in such way! The salad caught my eye. Octopus salad for me please! will definitely go this Restaurant when i visit KL. I am eyeing the Focaccia and pork rib. The food and drinks are all very nicely presented. I am not sure I would actually enjoy some of those food options though, no matter how pretty they look on the plate. Jamon Iberico & salad are interesting ..
I’ll have to try it soon! 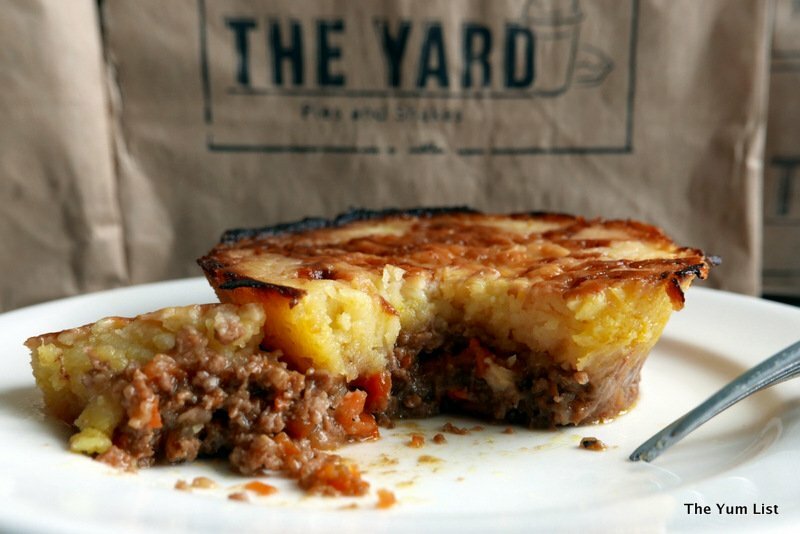 Thanks for your write-up, TheYumList..It is simply beautiful and well-written. Not too far from me. Have to try it. Looks delicious! Thanks for the share. Thanks for this recommendation. I tried it last week. Good lead. I will be back. I love that there are so many Italian restaurants in KL. I see I need to make a date at this restaurant! That little strip is started to come alive again! I have to bring my wife here. Yeah! Another not far from home. Thanks again for thinking of us Ampang residents.